This page contains important information on what to do if someone falls overboard, including how to raise the alarm and how to recover them. 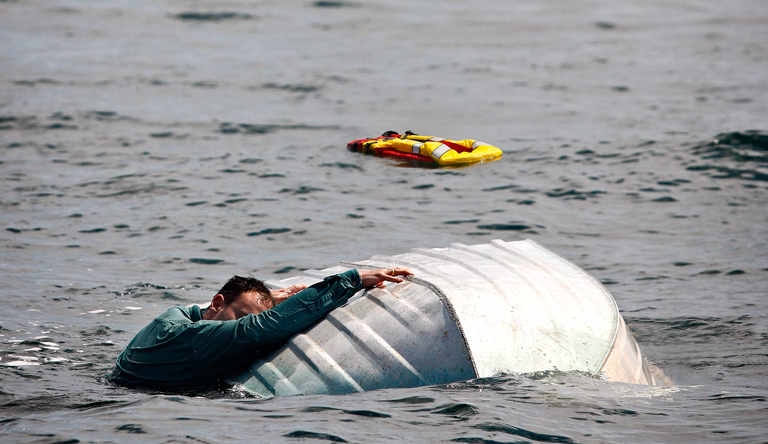 It's a good idea to practice your 'man overboard' drill often. Turn the boat toward the side they fell from (if the person is close to the propeller, put the motor in neutral or switch off the motor to avoid striking them with a turning propeller). A person recovered from the water may be hurt, cold or exhausted. Keep them lying down if at all possible. Our cold water immersion page has information on how to treat the effects of cold shock and hypothermia.